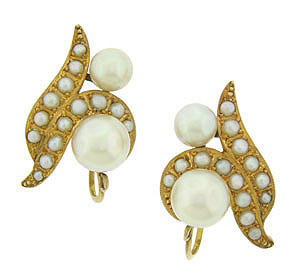 These spectacular estate earrings feature curling figures of 14K yellow gold set with cultured pearls. 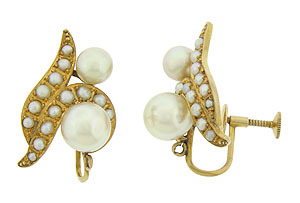 The earrings are finished with screw backs and measures 1" in length, 3/4" wide. Circa: 1950.